Cheap Car Insurance Brantford, Compare Lowest Quotes & Save! Getting Cheap Brantford Car Insurance Quotes Is Easy! 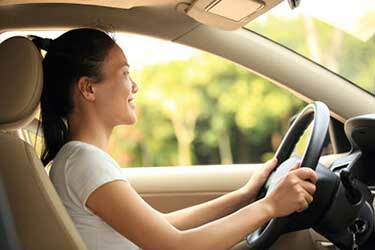 We know saving money on car insurance in Brantford is a top priority for drivers. Even though rates tend to be lower in Brantford than other areas of Ontario, reducing the cost of insurance is important to make driving more affordable. We'll quickly compare cheap car insurance quotes for you to get you the lowest rates in Brantford. At ThinkInsure, we make sure drivers have access to expert advice and can compare car insurance quotes from the top insurance companies. Whether it’s time to renew your policy, you are getting auto insurance for the first time, or you simply want to compare coverage options, our insurance experts are ready to help you save. Save up to $500 : Our job is to help you get the cheapest car insurance. Many of our customers save up to $500 on coverage when they switch to us. The best part about working with ThinkInsure is its 100% FREE. No cost to you! Coverage for ALL drivers : Our insurance experts work with all types of drivers. We can help you get any type of auto insurance coverage. Whether you are a senior, young driver, need commercial auto insurance, or are even a high risk driver, we can help. Expert advice from insurance professionals : Most drivers could use some expert advice from time to time. Our team is always available to answer your insurance questions, help you with claims, and so much more. You get a dedicated expert : When we say personalized customer service, we mean it. 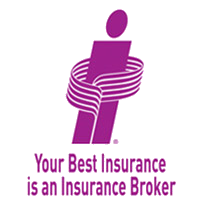 Each customer is provided with a dedicated insurance professional to help you with all your insurance needs. Compare car insurance quotes online or call toll-free 1-855-550-5515 and start saving on your car insurance in Brantford! How Can I Get Cheap Car Insurance In Brantford? Stay accident and claims free : Too many tickets, at fault accidents, and claims can cause your auto insurance rates to skyrocket. Maintain a clean driving record to get the cheapest rates. Get quotes regularly : Consistency is key. 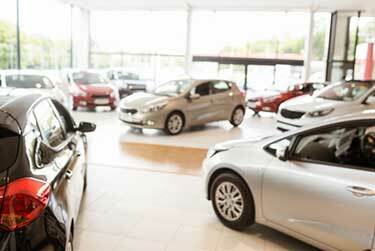 Comparing car insurance quotes each time your policy is up for renewal is the key to take full advantage of savings. Consult an insurance expert : Drivers often have questions about insurance coverage, claims, and quotes. Rather than make assumptions, get sound advice from an insurance expert. Compare quotes with ThinkInsure : Our experienced professionals will help you compare quotes and save without sacrificing quality coverage. How Much Does Brantford Car Insurance Cost? The average cost for car insurance in Brantford is typically less than other cities in Ontario. Many drivers pay less than the provincial average of $1500. With a clean driving record and insurance friendly vehicle, you could pay between $1000 and $1400 annually. Compare car insurance to get an accurate quote of insurance rates for your specific driving situation. Step 1 - Click To Start : Click to start your online auto insurance quot. Step 3 - Choose The Cheapest Quote : Select the best coverage and cheapest quote. Call: Give us a call at call toll-free 1-855-550-5515 and speak directly with one of our experts. Driver : Your age, gender, driving experience, insurance history, and driving record are key factors impacting your rates. Drive safe and establish a clean driving record to save. Car : The car you drive matters. Vehicles that are considered insurance friendly, have good safety ratings, a good security system, and are not known for being targeted for theft can help keep rates lower. Address : Where you live matters. Your city, neighborhood, and our specific postal code are used to assign rates. Some locations have higher risks of theft, fraud, and accidents, which drive up rates in these areas. Drive safe on county roads : Watch your speed and share the road with farm equipment when driving on county roads in and around the city. Watch out for pedestrians and cyclists : With an extensive trail system and with events at Harmony Square throughout the summer months, it’s important for drivers to pay attention to their surroundings at all times. Prepare for traffic around Grand River : Expect traffic delays around Grand River and as you approach all major routes such as Highway 403 and Wayne Gretzky Parkway. At ThinkInsure, we have built strong partnerships with over 40 of the best insurance companies in Ontario. Why? To give you more insurance coverage options. Brantford is located in Southwestern Ontario on the Grand River. Located along Highway 403 in Brant County, it is home to more than 100,000 residents. It’s a convenient rest stop for people travelling through the province to Toronto, Windsor/Detroit, and the Niagara Region. Brantford is famous for a number of reasons. It is the birthplace of Wayne Gretzky. It is also the birthplace of the telephone by Alexander Graham Bell, a reason why it’s known as the Telephone City. The city is home to a number of satellite campuses, including Laurier Brantford, Nipissing University, Conestoga College, and Mohawk College. Due to its close proximity to other larger cities, many residents commute from Brantford for work. Highway 403 is the main source of transportation for drivers travelling east west. Other major routes in the city include Highway 24, Wayne Gretzky Parkway, Highway 2, Brant Avenue, and Colborne Street. As a smaller town with less traffic and lower risk associated with driving, residents tend to pay less for auto insurance than in larger Ontario cities.